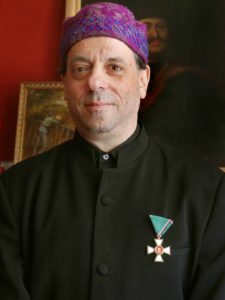 Washington, D.C. At the Hungarian Ambassador’s Residence in Washington, D.C., Klezmer musician Frank London was awarded the Hungarian Medal, the Order of Merit of the Republic of Hungary, Knights Cross (in Hungarian: Magyar Köztársasági Érdemrend) for his contributions to traditional and ongoing culture. Interested in Jewish music and liturgy? Deepen your understanding and hone your musical skills. Week-long classes in June and July. “We’re delighted to offer this intensive music training to anyone with a love of Jewish liturgical music, who wants to hone their skills and add new ones to their repertoire,” said Cantor Brian Mayer, dean of the School of Jewish Music.